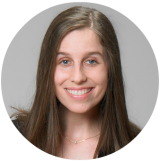 Katherine is the Editorial Director and Product and Service Development Manager at Author Bridge Media. She has served as an editor, writer, ghostwriter and writing coach since 2006, and excels in inspiring authors to dig deep, so they can share their most authentic messages with the world. Katherine decided to pursue her passion of writing books even when everyone around her insisted that there was "no career in it." 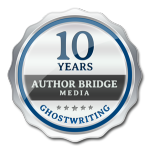 Today, she oversees Author Bridge's team of certified ghostwriters, writers and editors. Her editorial roots encompass a wide range of nonfiction and fiction genres, and she has worked with authors, entrepreneurs and communities to transform good ideas into projects that make money and make a difference. Her authors have been featured in The New York Times, the Oprah Magazine, the San Diego Union Tribune, CNN, the Today Show, PBS and NPR. In her free time, she harvests avocados on the family farm and explores remote villages that smell of incense and yak butter.